It’s no secret that most things can shine when given the proper attention and respect. Brussels sprouts have graduated over the last 5 years or so to fall and winter vegetables, not just sad holiday veggies. They’re often found deep-fried, but there are subtle, healthier versions on restaurant menus now too. In fact the recipe this week is a riff off something I had last week at one of my favourite restaurants. 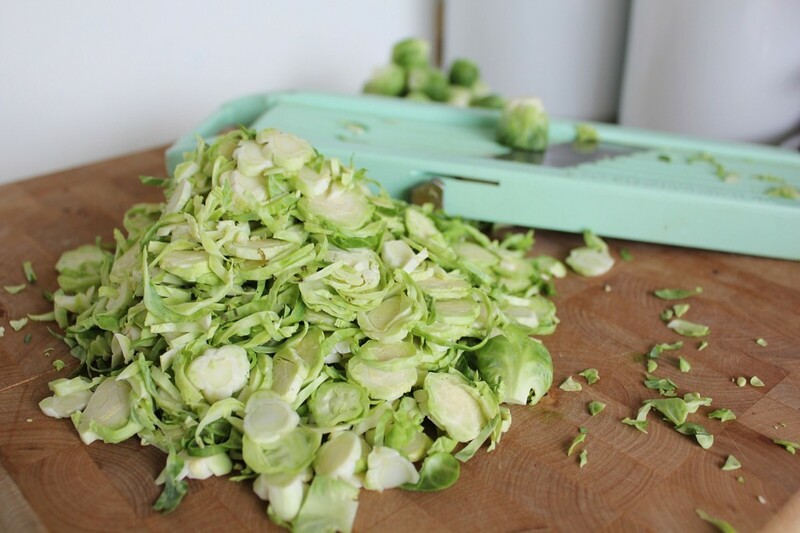 The Brussels sprouts are shaved thin, using a mandoline (carefully), which means that they just need to cook for a few minutes until they turn bright green, keeping a crisp texture and some digestion-aiding enzymes. 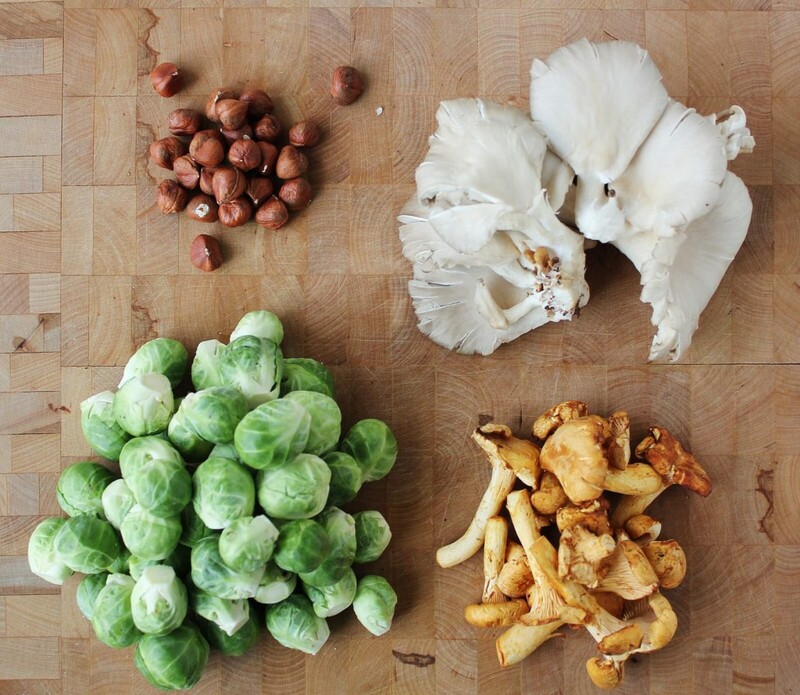 I have paired them with an ingredient that is a lot sexier than the humble Brussels sprout, but I think the contrast works well (and couldn’t be more seasonal). Chanterelle mushroom season has started in BC in restaurants, markets and if you’re lucky, in your back yard. They are earthy and golden and love the Brussels sprouts in a sweet, non-condescending way. Do we need to talk about how good Brussels sprouts are for you? It’s kind of always been their biggest selling point. 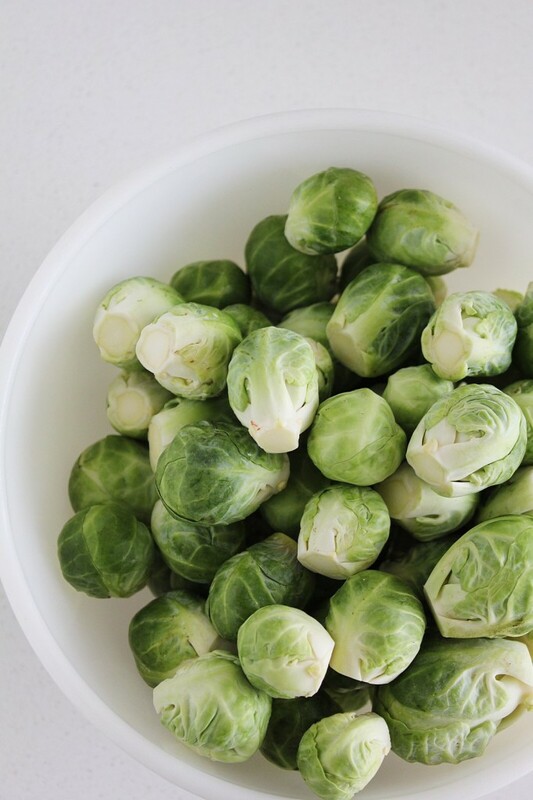 Let’s touch on it just for a second: Brussels sprouts are part of the Cruciferous family and contain numerous cancer-fighting phytochemicals called glucosinolates. They also stimulate liver, stomach and small intestine function. All of that and if you don’t cook the crap out of them, they taste clean and delicious too. 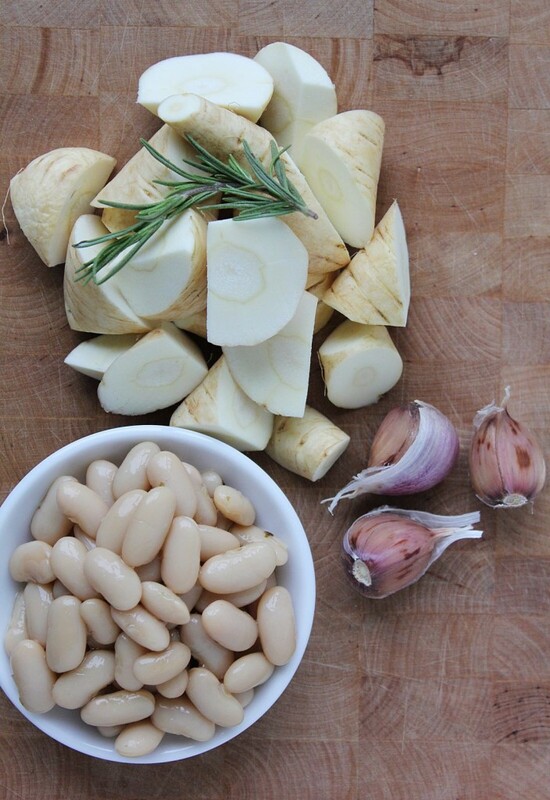 This can be served as a side dish or if you make the parsnip and bean purée with it (highly recommended) it makes a texturally-contrasting, rich in flavour, protein-filled, seasonal main dish. 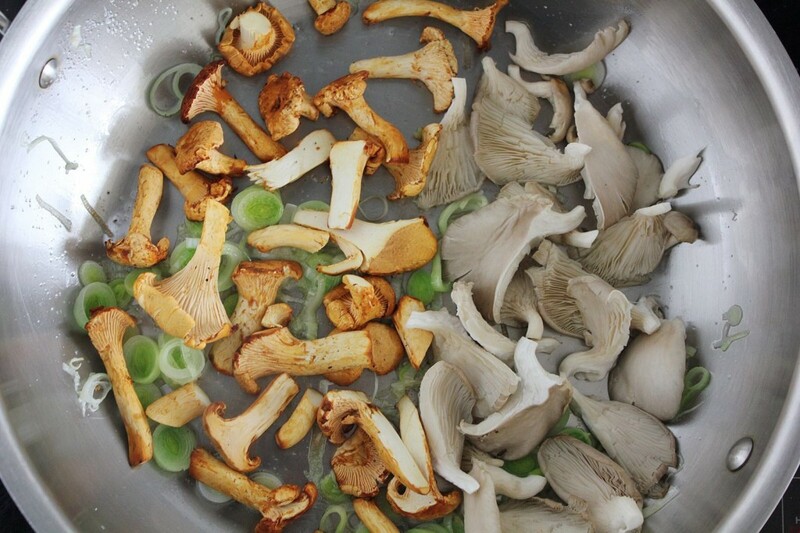 Sauté the mushrooms with the rosemary on medium heat in the coconut oil and water. Once they soften, add the leeks, garlic and a little more water if it has evaporated. 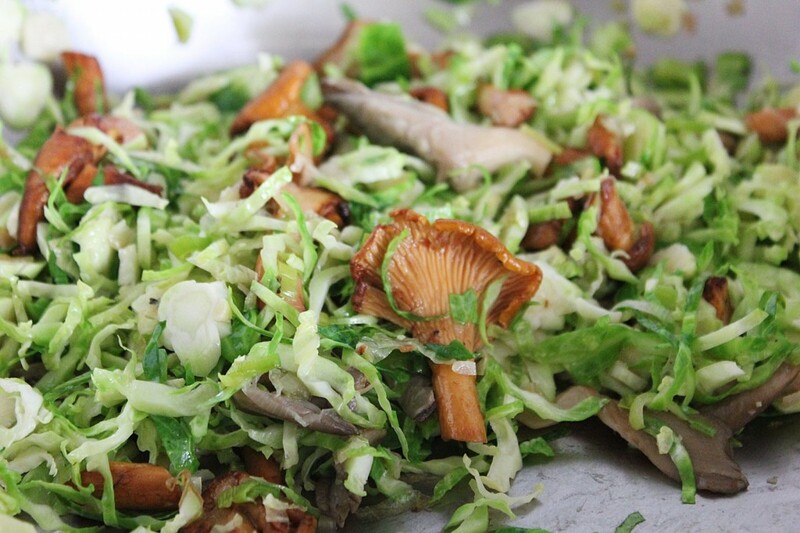 Once the leeks have softened, add the Brussels sprouts with a splash more water so that they steam. 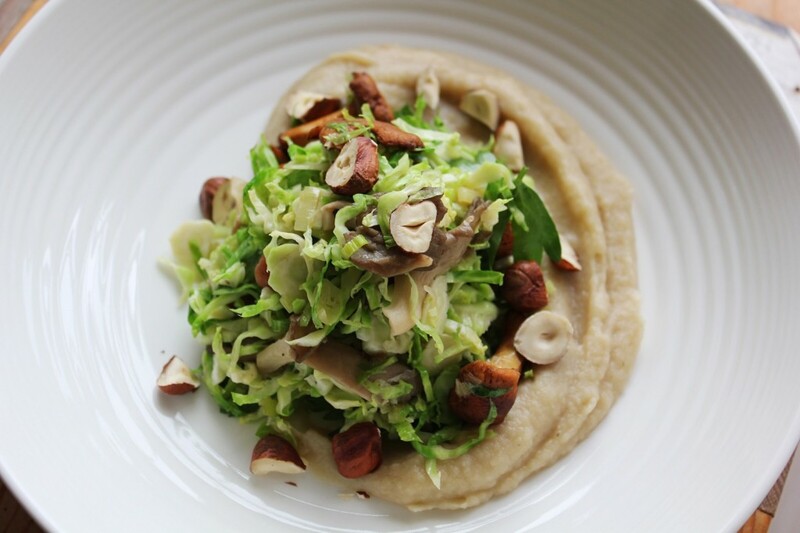 Once the Brussels are bright green and tender, add the parsley leaves and hazelnuts. Adjust seasoning and remove rosemary sprig. Steam the parsnips, garlic cloves and rosemary together until the parsnips are tender (8-10 mins). Remove rosemary and purée the rest of the ingredients with the beans, 1 c water and salt in a blender or food processor until very smooth, add more water if necessary. Stir in a frying pan over medium heat to heat up. 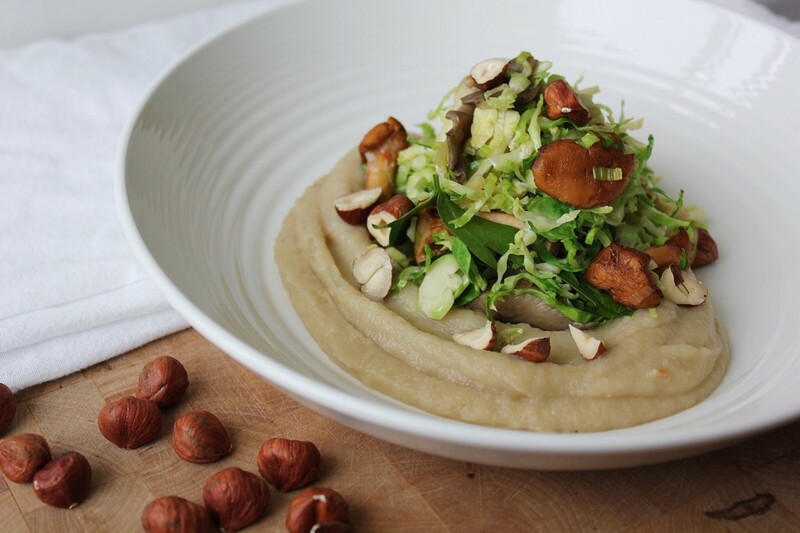 Smear purée on the bottom of a plate or past bowl and mound the warm Brussels sprouts mixture on top.